Minister for Education and Skills Joe McHugh T.D. and Minister for Higher Education Mary Mitchell O’Connor T.D. today announced that changes to the minimum entry requirements for the Professional Master of Education (PME) for primary teaching will come in to place in September 2020. As part of my visit to UCC today (Monday 28 January) I got a guided tour of Bio Green Café, Ireland’s first plastic free café. No plastic packaging or single use plastic cutlery to be seen. I look forward to other cafés and businesses following their example as we work to reduce our dependence on single use plastics. The Minister for Higher Education, Mary Mitchell O’Connor T.D. 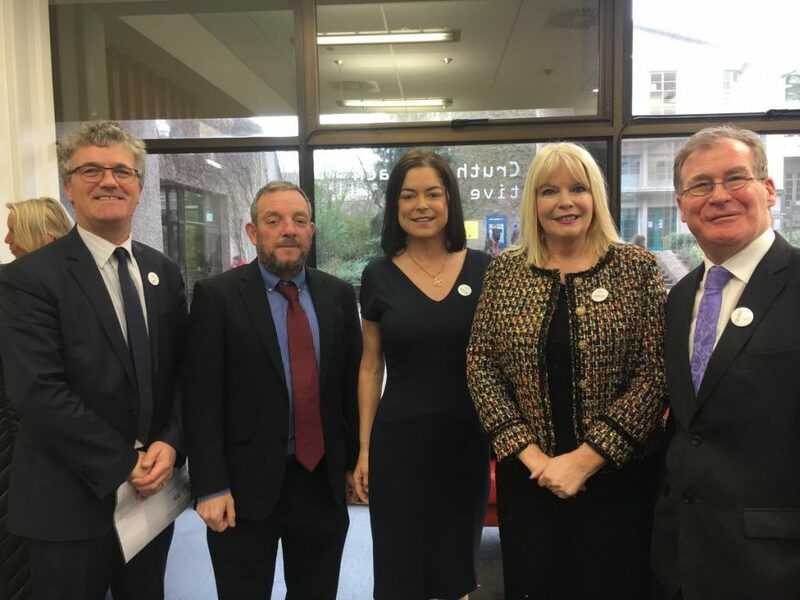 today (28th January 2019) launched the Online Bystander Intervention Programme at University College Cork. The programme was developed by Dr Louise Crowley in the School of Law, UCC. Minister of State for Higher Education Mary Mitchell O’Connor T.D. 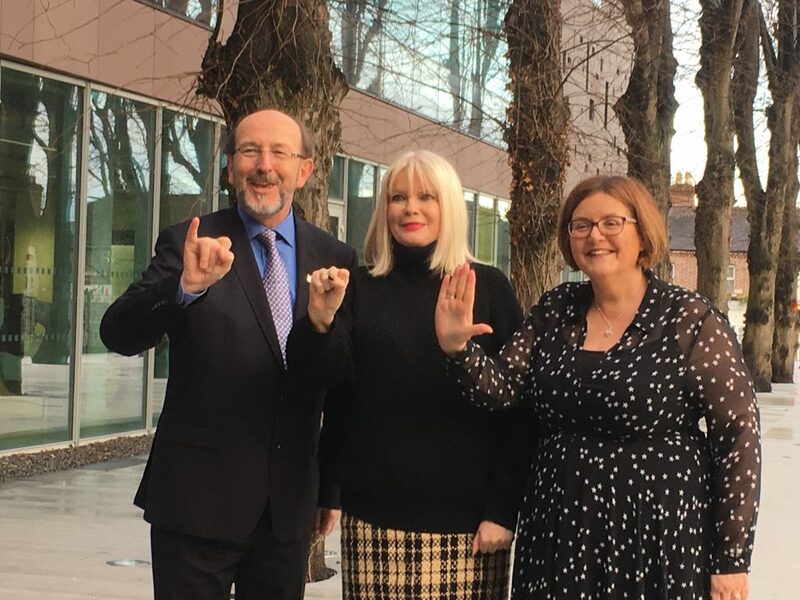 has today formally launched a new undergraduate programme in DCU that enables deaf and hard of hearing people who use Irish Sign Language (ISL) to enter primary teaching. 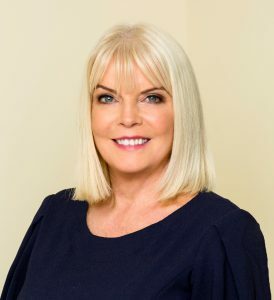 The Minister for Higher Education, Mary Mitchell O’Connor T.D., has today appointed the former General Secretary of the Association of Secondary Teachers of Ireland (ASTI), Mr Patrick King, to work with relevant stakeholders to explore the potential to address some of the employment related issues that have arisen in the English language education sector. Minister for Education and Skills Joe McHugh T.D. and Minister of State for Higher Education Mary Mitchell O’Connor T.D. today announced that a call for applications has issued to higher education institutions in relation to the newly established Higher Education Strategic Infrastructure Fund. The fund is one of a number of measures to deliver on ambitions for Ireland’s higher education sector as outlined in Project Ireland 2040. The Minister for Higher Education, Mary Mitchell O’Connor T.D. today (1 January 2019) welcomed the formal establishment of Technological University Dublin. The Minister for Education and Skills Joe McHugh T.D. 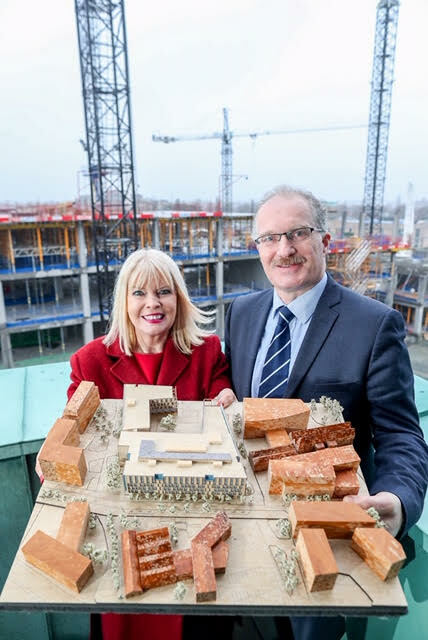 and Minister for Higher Education, Mary Mitchell O’Connor T.D., today (December 2018) announced that Professor David FitzPatrick has been designated under the Technological Universities Act 2018 for appointment as the first president of Technological University Dublin. Minister Mary Mitchell O’Connor, T.D., Minister of State with special responsibility for Higher Education, today (19 December 2018) announced funding of €1.65m for 16 innovative projects to enhance teaching and learning in the higher education institutions.